Last time I wrote….almost 2 years ago (! )….I ended with a resolution. I said I wanted to encourage people who don’t think swimming is ‘for them’ to try it. While I haven’t done exactly that I have volunteered two years running to be a ‘swim angel’ in a local open water swim race, Bring on The Bay. A swim angel is a companion swimmer for someone with a physical or psychological difficulty, or a medical condition, who cannot complete the race on their own but would like to take part. When I read about this program 2 years ago I knew that it was something for which I’d like to volunteer. 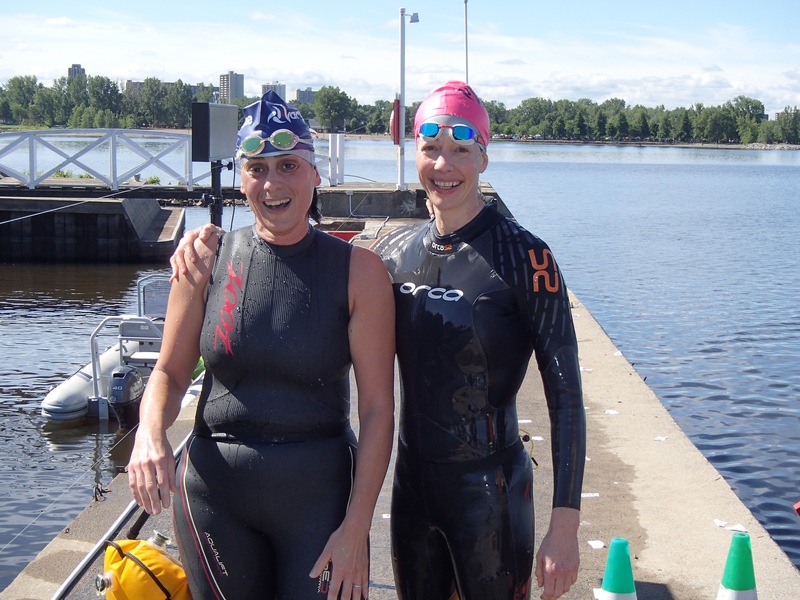 I don’t find open water racing enjoyable but I am unafraid of swimming in open water and I have the capability (endurance, physical ability and first aid training) to help someone else to achieve a goal that they would like to tackle. Twice I’ve found swim angeling to be a really pleasant experience for me personally, as well as being (I hope) helpful to the swimmer I’m partnered with. I would never make the time to go and frootle around in a river just for the sake of it, without thinking about the pace at which I’m swimming. If I’m being a swim angel for someone I can have few preconceived ideas or plans for the swim. I have to avail myself to focus on that person’s experience or need, keep to their speed, think primarily about their well-being. It’s necessary to just be ‘in the moment’ so that you can respond to your swimmer’s needs if required. Sometimes it’s not required, so you can, in a few discrete moments, just enjoy a leisurely swim on a gorgeous summer day and take a moment to look around; take in the scenery. Usually that is something I have to remind myself to do. Life it so busy as I pack in the fulfillment of one goal or task after another and there’s seldom time for just being. If I raced the race for me it would be just another task or goal. When I’m a swim angel I can be in the moment of now. We start at the back of the pack and usually take it slow so usually we are out of the ‘washing machine’ of the race. Little bit of heavenly. 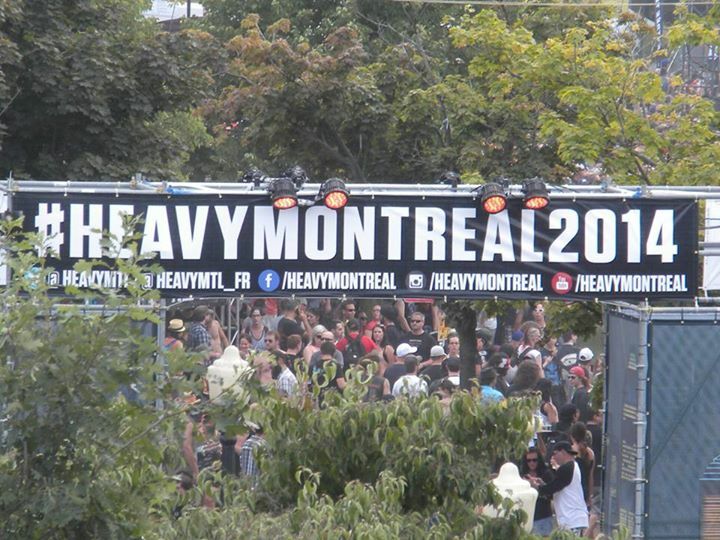 On the last weekend of the FINA World Masters 2014 swim meet in Montreal, we shared Parc Jean Drapeau with festival-goers attending the Heavy Montreal event. It made for an interesting contrast. Hundreds of lean, older, healthy, lightly clad athletes drinking fruit smoothies, alongside thousands of heavy metal fans wearing heavy jackets in the hot sun, arriving on Harleys, drinking mainly copious alcohol and filling the air with tobacco and marijuana smoke. Populations drawn from different demographics. So when admiring the obviously superior health and wellbeing of Masters Swimmers, it is prudent to remember what’s known about the associations between socio-economic advantage, good health and longevity. I’m still in awe of the 80+ and 90+ year old swimmers who came to compete at Worlds this year. They are an inspiration. I hope to be a 90-year-old competitor myself someday. That’s a good intention to have. Yet I recognise that alongside all effort of training hard and eating healthily, the long term health of my body depends on other factors, too, like my income, genetic factors, and luck. I’d like to develop a new intention, too – to encourage people who don’t think swimming is ‘for them’ to try it. Hopefully by the time I’m competing in the 80+ age groups Masters swimming will represent a broader demographic. 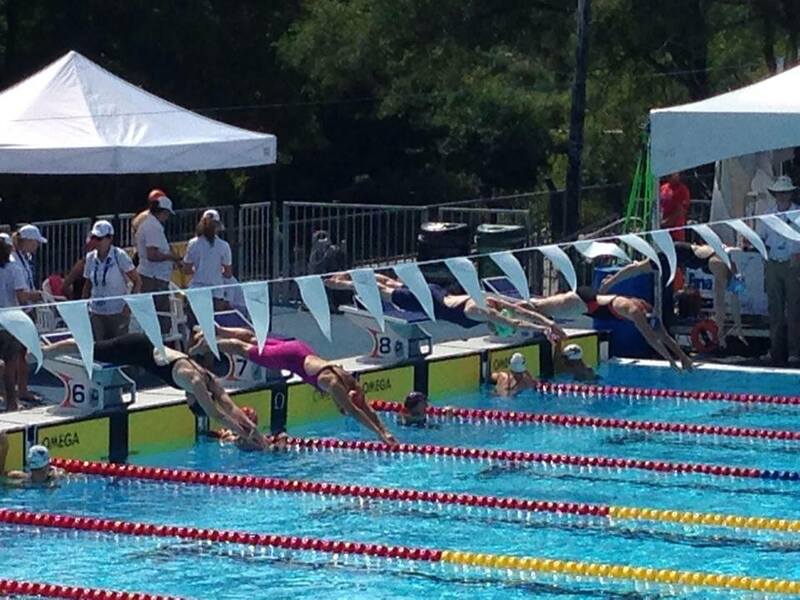 I’ve come back to competitive swimming in the last couple of years, as a Master, after a youth spent in the water. “I used to be faster; now I’m a Master!” I identify with that slogan that I’ve seen on some club T shirts this week at the 15th FINA World Masters Swimming Champs in Montreal. Certainly competing in the age group 40-44 years does not feel the same as competing as a young teen. While some things do not change – there is the same frustration with not being able to make your muscles move you faster, and familiar anxiety, with its negative consequences – aches and pains are more worrisome, ‘recovery’ is slow, and the only realistic aim is to slow the decline because improving as you age is pretty unlikely. That said, this week, I’ve seen some truly inspiring, nigh-unbelievable race times achieved by swimmers who are a lot older than me. I can dream that if I work really hard at slowing the decline (to a rate of zero…okay who am I kidding…but I’m dreaming here) I could, for example, swim the 200m individual medley in my current time at this meet in 20 years time – and medal!! There are benefits of competitive/club exercise, aside from direct cardiovascular health related ones, when you are getting older. If you are introverted like me it helps you to connect with people in a less-stressful way than regular socializing. I see the power of the swim club in the way that the older members of my own swim club care for and encourage each other. I’ve seen it at the Masters Champs. Most people are not there to win, or to medal. Most are team mates who have made a journey half way around the world together. They have fun with each other and support each other, cheer each other on, say ‘Good job!’ even if a swimmer comes in way off their PB. There are swimmers in the > than 80 and 90 years age categories that are in wheelchairs on poolside, who can still swim a race and may hope to set a new record. I hope I’m still swimming when I’m eighty. “If you can’t beat ’em outlive ’em,” they say. 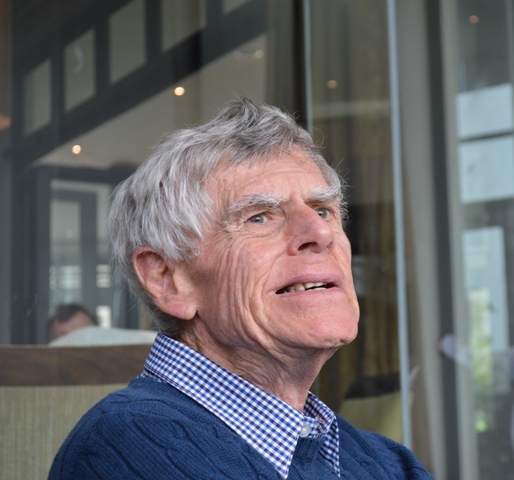 Dad, When mom asked me to make a speech at your party I thought, ‘But what do I know about the great achievement that is reaching the age of eighty? I’m only half way there. The speech would surely be better coming from Aunty Liz [Dad’s sister], who has at least known you for all of the eighty years. Yesterday I asked you how it felt to be eighty and you were no help at all. You said that you lay in bed feeling not very different from any other day. Well, I’ve learned that when seeking to understand something you know nothing about you should look up the scientific research on the topic. I work for a medical journal so I know that ageing, and particularly ‘healthy ageing’ or ‘ageing gracefully’ is a hot topic in health care right now. The big question for health policy planners is how we will deal, as a society, with the so-called silver tsunami, the “problem” of the changing population demographic that sees most high and middle income countries growing their elderly populations – the users of health care resources – a lot faster than their younger populations – the contributors to health insurance funds. Health care insurers and policy makers are keen as mustard to get people to age healthily and gracefully for obvious financial reasons. I think they should sign Dad up to be their poster boy for this campaign. Certainly, as I look towards my next forty years thinking that if I follow Dad’s example I’ll do okay. Thanks to good medical research we now know that, although how well you age has A LOT to do with genetic factors (check that; Dad has great longevity genes – which means I do too *yay*), there are certain lifestyle factors that give a man the edge and Dad has lived a model life. He’s been the moderation man in an era of excess. No smoking, not much in the way of alcohol ever, dislikes overeating…. although he must surely have the anti-Diabetes and the anti-hypertension genes, though, given that he does like to add sugar and salt! Then he hasn’t really ever thrived on stress; likes to take things calmly does Dad… I once heard him describe himself as a fatalist. I’d prefer to call him a man of faith….those may be two sides of the same coin. Whatever you prefer, if that’s what you are then I guess that perhaps you don’t waste so much energy and emotion on unnecessary worry. He’s had mom to challenge him in that area; it can be a challenge to stay calm around one’s wife, no doubt about that. Some wives have a calming effect some not, eh Mom? But more about Mom later. Dad is a keen gardener and we have all been blessed over the years to share in the fruits of his labors in that endeavor; I’m sure that has helped him to be calm, and it’s also kept him regularly active, another hallmark of those who age well. Speaking of active… for my whole life I have known dad to get up every morning and do 5 or 10 minutes of ‘exercises’ (star jumps, press ups, sit ups…although now I believe he does his special back exercises). When I was a kid I thought it was funny. Now that I have my own collection of aches and arthritic complaints I get it. It’s as simple as this: if you don’t move it you lose it, and not forcing yourself to move it just means that whatever it is that is stiff and achy and sore will just get more stiff, achy and sore! Dad’s always been a great walker, too, and he still likes to take himself of for a walk every day, even though sometimes we worry that he can’t see enough to find his way back in an unfamiliar place. [My brother] Andrew and I have both marvelled at Dad’s desire to go for a family walk even when the terrain is somewhat unsuitable – Andrew recalls a recent 5km trek around Dove Lake at Cradle Mountain in Tasmania, with numerous stairs, slippery patches and rough ground, where he was surprised that Dad wanted to be part of the outing, despite the obvious risk of falling and his inability to appreciate the spectacular scenery…I remember similar scenarios walking the cliff paths in Cornwall and Kent in the UK. This brings me to other determinants that have underpinned Dad’s successful ageing. A fierce desire for independence has kept Dad sharp, youthful and functional. As you all know, Dad rather suddenly lost most of his central vision in his mid sixties. It meant, for example, that one day he was able to drive and the next day he was not. By strict classification he is blind. But will the stubborn old thing walk with a stick? Please! Does he even let on to strangers that he can’t see? What are you talking about? Aside from not driving (except occasionally in my nightmares) he behaves pretty much as if he could see as well as you and me. In fact it is a joke in our family that whenever we lose something we say that we wish Grandad was around because he would be able to find it. If you have lived in the same house with Mom and Dad for any length of time you will understand this. When Mom loses her glasses/handbag/phone/keys she always asks Dad to find them, and he always does! He has cunningly escaped the dubious benefits of the Internet connectivity era but uses all sorts of other tools to remain independent, aware of current affairs, well-read, conversationally astute, fit, able to cook & eat a meal, and, most important of all for an accountant, able to do his own tax return! [My brother] Ian, reminded me how we have always been dumbfounded by Dad’s amazing ‘old-fashioned’ mental arithmetic, at how he would add the distances on a map to work out how long it would take from Present Town to Durban while we were still trying to locate present town on the map. Once we thought it would be nice to buy him a calculator as a gift. The fact that it went largely untouched except by the rest of us left us feeling a little guilty that perhaps we may have offended him. Probably not. He isn’t easily offended. I suspect that adding a column of figures in head was just faster than typing them into a machine. Dad wrote to all of his children to tell us not to come for the birthday….it’s too expensive and not a good idea to take the kids out of school, he said. I think he genuinely would rather we put the money into our mortgage. He’s always been a frugal and money-wise guy; after all he is Scottish by descent. Another thing medical research has discovered recently is that the happiness of the people you surround yourself with correlates well with your own mental well-being. There’s a chicken and egg conundrum there, I guess, but I know that Dad has always managed, rather blessedly, to surround himself by a wonderful group of friends, many of whom are here today. And let’s face it, who wouldn’t want to be around this guy – he is just the most decent, kind and lovely guy, isn’t he? It’s also well-established that men who are married live longer and stay healthier than men who aren’t (Despite what my husband tells young bridegrooms about the suffering of marriage). Some of you may not know that my mom and dad are going to be celebrating their fiftieth wedding anniversary this year. I’ve no doubt that that achievement and the one that we are celebrating today are correlated in no small way. And Dad would be the first to say ‘hear hear’ to that. Medical edpidemiologists talk about risk factors for disease or wellbeing, things that we know without doubt are associated with illnesses of older age. Then they also acknowledge that there are things that underpin those risk factors, things like socio-economic status, level of education, environment…things that individuals can’t always make choices about but where policy-makers could make a difference. They call those things ‘determinants’ of health. In Dad’s case I think that mom falls into the ‘determinant’ category. The likelihood that she increases dad’s stress a little, as I alluded to earlier, is more than mitigated by the ways that she has surely contributed to his graceful ageing. No, mom! I’m not talking about the vitamin regime. We all know now that vitamins are just an elaborate way to flush money down the toilet! I’m talking about the way that you have encouraged Dad, through the years, to eat healthily, to be active both mentally and physically, and to sustain his faith, his family connections and his good friendships. And in recent years you have supported him in maintaining his independence and his connections with people who love him. I’m going to finish soon, I promise. I remembered how old 80 seems to a young child. William and I were talking about it afterwards and we were saying how it doesn’t seem all that old to the two of us, or perhaps it is just that Dad genuinely doesn’t seem ‘that old’. I was trying to work out why I didn’t come home for Dad’s 70th birthday and then I remembered that ten years ago I had just given birth to Aidan. Now, while William and I have most certainly aged no less than 10 years, and probably more like 20, in that decade, Dad seems to have stayed much the same, or has he got younger?? We wondered if there was some magical force at play? Perhaps it is all the long haul air travel he has endured, which probably averages out at one trip to Australia and one to the UK every year in the last decade. Possibly he’s like Dr Who (obscure reference to long running TV program in the UK; meaningless to most South Africans). Perhaps every time he gets in a plane it’s like he gets in a tardis and that’s how he dodges the ageing process. I jest, yet, in spite of having to fold himself into airplane seats more regularly than anyone post-retirement should have to, and having to live for extended periods of time in places that he is not familiar with, and spend the money he could be spending on a more comfortable retirement on those trips, all on account of his challenging children who have spread themselves selfishly across the globe (those same children incidentally who were probably the main detractors from his calm wellbeing over the years) ….in spite of this Dad has remained amazingly sprightly and young at heart. Well…whether it is down to magic, good luck, great genes, healthy lifestyle choices, a serendipitous choice of spouse, or the small mountain of vitamins you have been made to swallow every morning for the better part of fifty years, we here today (and Ian and Andrew and their families who are here in spirit) are all glad that you have achieved the age of eighty so gracefully and we are delighted to celebrate with you today. Could you all raise your glasses to Rob. Happy 80th Birthday Dad! Rob Patrick and two of his grandsons, Aidan and Euan. The big party is tomorrow but we were blessed to have dad all to ourselves on his real birthday. Now I must get on with writing my speech….